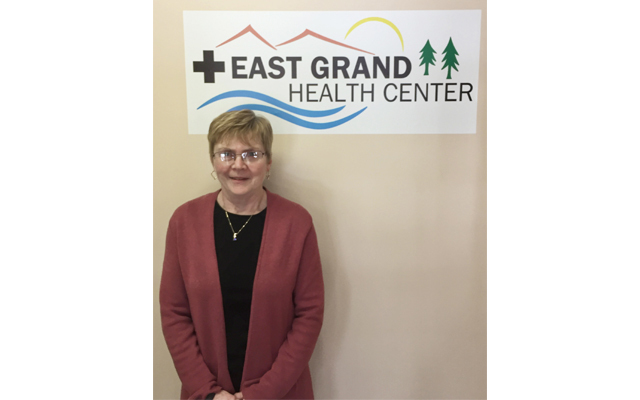 The East Grand Health Center has welcomed Mary Lake, FNP, to its primary care team. DANFORTH, Maine — The East Grand Health Center has welcomed Mary Lake, FNP, to its primary care team. Born and raised in Hodgdon, Lake said she was happy to be returning to northern Maine after a long and satisfying career in southern Maine. She received her bachelor’s and master’s degree in nursing from the University of Southern Maine in Portland. She brings a wealth of knowledge and experience to East Grand, having worked at Mid-Coast Hospital for the last two decades as a Family Nurse Practitioner in various capacities. Lake and her husband both recently retired and relocated to their new home on East Grand Lake. In her spare time, she enjoys hiking, quilting and biking. Lake has fulfilled a lifelong dream of owning a camp on East Grand Lake and is looking forward to being part of the local community. She will begin seeing new patients at the end of November. For more information, call East Grand Health Center at (207) 448-2347.